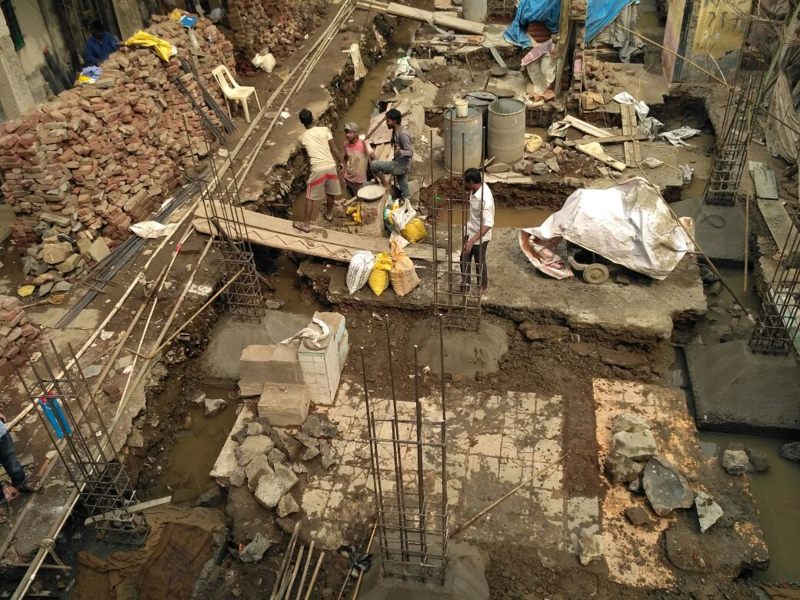 The Jai Ram Sheth Chawl is being rebuilt over from its existing 100 year old dilapidated past that housed eight tenants in eight rooms on the ground floor and another eight on the first floor. It is being transformed into a two storied structure that will have an additional eight rooms on top. Instead of the common toilets that were typical of the chawl typology (working class tenements modelled on army barracks), the new rooms will all have a toilet and bathroom inside each of them. The entrance to the old chawl had an awkward entrance that had covered a sacred stone. The design envisages a small shrine for it and a more accessible entry around. The new Jai Ram Sheth Chawl is envisaged with sloping tiled roofs, and wrap-around corridors on each floor that provide passage space for common use and a rear façade with balconies. In many ways the new structure will evoke an older aesthetic that was synonymous with the colonial era chawls of the old city. Interestingly there is a common misconception that neighbourhoods like Dharavi are places of “informal” housing, where workers came to from the “formal” working class tenements from the old industrial city, when the mills were forcibly shut down. On the contrary, Dharavi’s diverse fabric had several kinds of habitats within, including the “chawl”. The Jai Ram Sheth Chawl is a testimony to that with its century old existence. Its new version is a celebration of that typology in Dharavi. 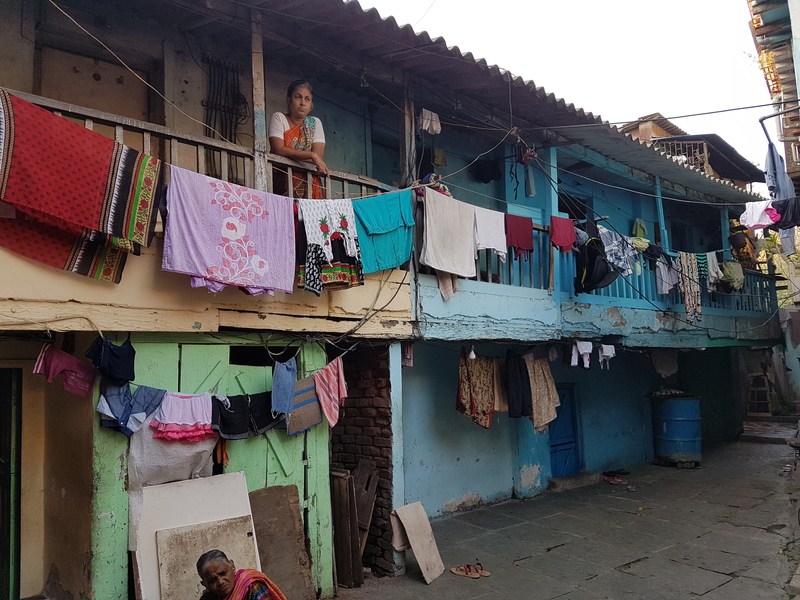 The work on the project started in December 2017 and existing tenants were temporarily shifted to other places in Dharavi and the city at large. Old structure of Jai Ram Sheth Chawl in its dilapidated condition. 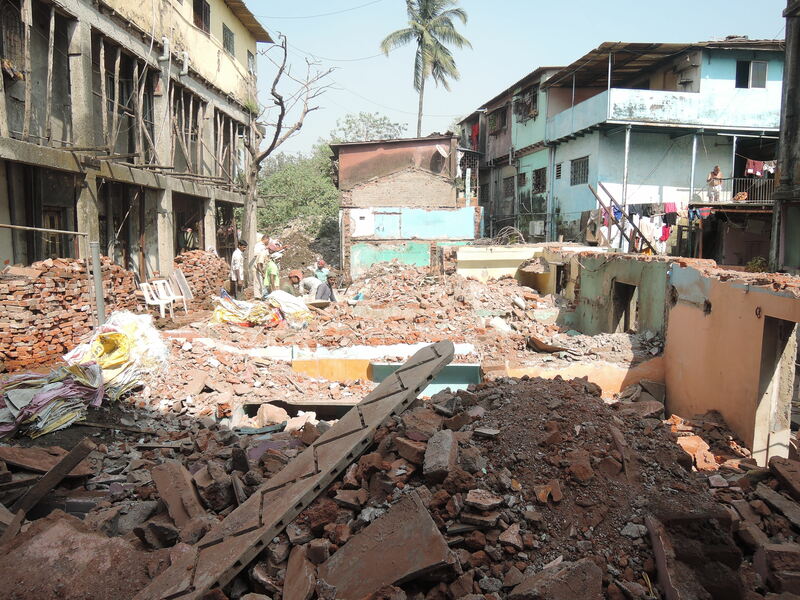 Demolition of the existing chawl in December to rebuild a new one.